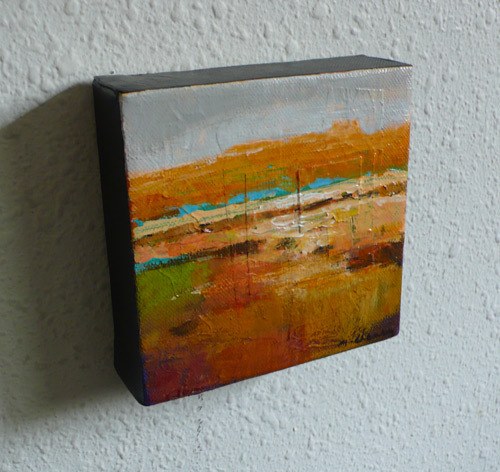 'Vista #10', 5 x 5 x 1.5 inch acrylic/collage on canvas. Sides painted black, gloss finish. $40 + ship. Random pieces of watercolor paper can be seen.